What do a group of horrible, thuggish accountants do? Go into town and gang-audit someone. If you laughed at that, then you would have to be an accountant or a bookkeeper already. So close this article and get on with that double entry stuff and the juggling of the assets and liabilities thing that you people do. If the opening gambit didn’t bring about even the merest flicker of a smile, then please read on. It means you’re normal. And as someone who has at least a passing interest in business workings, you’re about to be treated to some informative musings about book keeping. We’ll talk about its purpose and its mysterious origins. We’ll get down and dirty with some technical terms. We’ll even squeeze in some good old fashioned HMRC bashing – goodness me, what more could you possibly ask for? When you do any form of business, be it via a puttering little sole trader-ship selling useless gadgets out of a suitcase down the market, or a limited liability company employing hundreds, your financial transactions must be formally recorded. They are done so in the company’s books. And the process of doing so is called bookkeeping. You may have heard of accountancy terms like balance sheets, profit & loss, accounts payable and receivable – they are all components and functions of bookkeeping. Here’s a factual nugget to help you impress your accountant the next time he’s badgering you for tax receipts – the historical origins of bookkeeping are thought to extend as far back as 2600BC to Babylonian times, where records were kept on small slabs of clay. And slightly later, the Egyptians used to keep book accounts of the grain quantities that were brought into and out of government store houses. The rules and complexities of book keeping have changed immeasurably. The tools used to record them have evolved just as much. But the raw essence and purpose of bookkeeping has stayed more or less nailed on – to record and store activities accurately and honestly. There are two basic reasons to encourage and practice good bookkeeping. The first is that the financial records contained within your books will provide a fundamental barometer as to the underlying health of your business. More on that a bit later. The second is that as a business you’re required by the letter of the law to keep your house in order. There are some basic financial records that you are legally obliged to keep, and report. You’re also required to store these records for a minimum of six years. A cash book/statement which records how money enters and leaves the business. A sales ledger, stating the confirmed receipts of cash and cash still owed to the business by debtors. 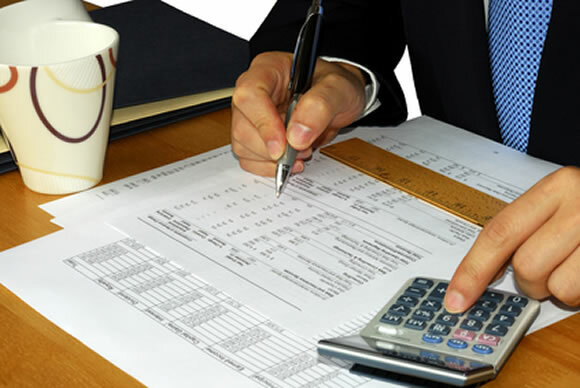 A purchase ledger, which details business related expenses. A salary and wage ledger which confirms all salary and National Insurance expenses. Details of any VAT charges if your business is VAT registered. Clearly then, some level of organization and efficiency is required with your bookkeeping endeavours. The larger and more complex your business becomes and the more transactions it hosts, the more involved bookkeeping will become. One bloke selling a couple of tragic nik naks, almost Del Boy style, would hardly require a herculean bookkeeping effort. Even in this high tech, ipad powered era, the ledgers for old Del Boy could easily, almost endearingly, be done largely on the back of an A4 pad and a WH Smiths Value folder. No expensive spreadsheets or wiz kid teams of accountants. By stark contrast, a gargantuan company offering a fittingly encyclopaedic product range, employing hundreds perhaps even thousands of employees – well that’s a whole different story. As a company grows – as it evolves and emerges into a whole new epoch of business status altogether, the way in which it records its transactions must change. The accounts must become more sophisticated, simply because the demands for information will become more intense – more probing – from both internal and external quarters. The Inland Revenue will hold occasional audits. While the upper echelons of company management will routinely demand sophisticated management account ratios and metrics to gauge everything from gearing and cashflow to return on investments. Guess what? All of these insatiable financial information demands could only ever be gratified if the fundamental bookkeeping practices of the company are sound. Reliable. So really, whether you choose book keeping software off the shelf (like Sage) or a savagely expensive bespoke tailor made system – or indeed you do your book keeping Del Boy style – it all boils down to how complex your business is. And in which epoch it currently finds itself. If this were a movie, the music would turn considerably darker. Think Jaws. There’s an immensely serious tone to bookkeeping, simply because accounting fraud is an extremely serious offence. Punishable by death. Ok fine not by death, but in the UK you could certainly get banged up for a very long time, or at the very least be subjected to brutal financial penalties if there are widespread accounting inaccuracies that are considered to be fraudulent. And your mum would be well cross too. Simply, it’s about keeping tight internal controls. If your company is fairly small it could, and I say this with more than a jot of caution, be slightly less prone to book keeping fraud. If only because there are less people. Fewer systems. And so, a tad less scope for manipulation and corruption while your back is turned. That’s by no means a certainly though. Common sense strategies to keep your books on the straight and narrow would include making sure you know what’s happening down in accounts, and in hiring only trustworthy people within each and every tier of your organization. No matter how big. Or small. I admitted it as early as the second paragraph. The opening joke just wasn’t funny. Want to know what else isn’t funny? Getting slaughtered by HMRC because your basic bookkeeping just doesn’t record your company finances like it should.